The concept is pretty simple. 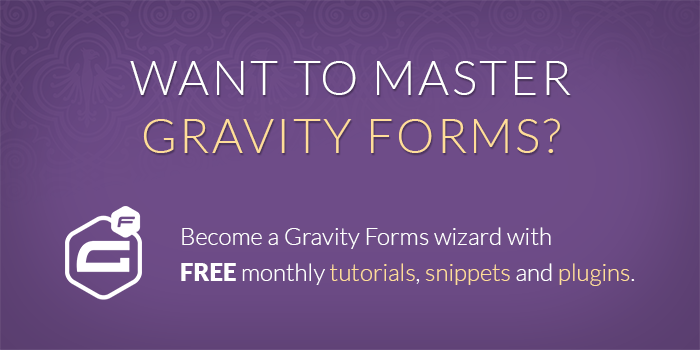 Using Gravity Forms “Post Fields” you can create a form which generates a post when it is submitted. All you have to do is add the desired post fields to your form. When the form is submitted, Gravity Forms will check if any post fields exist on the form and if so, generate a fresh new post based on those post fields! Before we get too much further into this, I’d really recommend checking out the basic Gravity Forms post creation demo. If you’re new to Gravity Forms this will give you a better idea of what to expect and some context for the rest of this tutorial. Not bad, huh? You can use this list to get more information on features that interest you OR if your thirst for Gravity Forms knowledge is simply unquenchable, I suggest reading from top to bottom. One thing Gravity Forms does not currently support is creating custom post types; however, there is a handy dandy third-party Gravity Forms add-on that allows you to create posts for custom post types with Gravity Forms available for free in the WordPress.org repository. It’s called Gravity Forms + Custom Post Types. Adding a Post Title field to your form will allow the user submitting the form to specify the title of the post. The Post Title field is also where you will manage the default Post Status, Post Author and Post Format of the created post. We’ll go into each of those in more detail later. It is important to note that you can actually set the default Post Status, Post Author, Post Format from the Post Body and Post Excerpt fields as well. Be aware that these settings are all “linked” and changing one setting (the Post Status, for example) on one field will update the setting on all fields. Think of them as “form settings” managed on a field level. Adding a Post Body field to your form will allow the user submitting the form to specify the content of the post. Like the Post Title field, this field also provides options for managing the default Post Status, Post Author and Post Format of the created post. You’ll notice I’m using a pretty fancy merge tag to display the medium sized featured image to the right of the post content. Don’t worry! You don’t have to learn all that merge tag syntax. 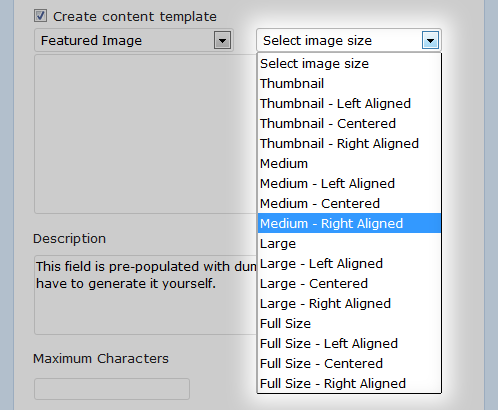 When you select a Post Image field from the merge tag drop down, a new drop down will appear with a full list of size and alignment options! Adding a Post Excerpt field to your form will allow the user submitting the form to specify the excerpt content. Like the Post Title and Post Body fields, you will be able to specify the Post Status and Post Author from this field. Adding a Post Category field to your form will allow the user submitting the form to specify which category their post should be filed in. 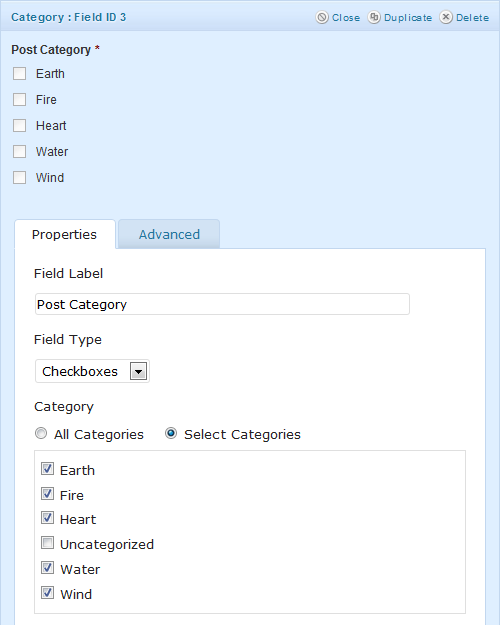 The Post Category field not only allows you to specify which categories should be available in the field, it also provides an option to display the field as one of the following field types: Drop Down, Checkboxes, Radio Buttons, and Multi Select. Selecting “Checkboxes” or “Multi Select” will allow users to select multiple categories to file their post in! This is relatively new functionality available in GF v1.6.3. Feel free to add multiple Post Category fields on the same form. Categories from different Post Category fields will be consolidated and applied when the post is created. Adding a Post Tags field to your form will allow the user submitting the form to specify how their post should be tagged. Tagging is a good way to specify organizable key words and subjects that the post relates to. The Post Tags field provides the option to specify which field type the field should display as. Available field types are: Single Line Text, Drop Down, Multi Select, Checkboxes, and Radio Buttons. If using the “Single Line Text” field type, note that the expected format is a comma-delimited list of tags. 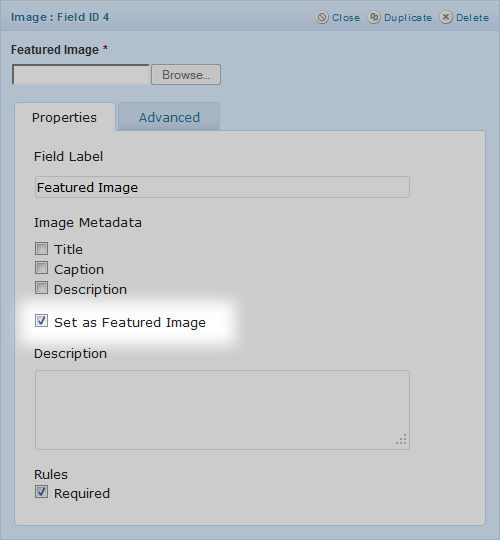 Adding a Post Image field to your form will allow the user submitting the form to upload an image to the post gallery. You can include uploaded Post Images in the post content using the “content template” functionality. See the Post Body section above for more details. The Post Image field also provides options for collecting image meta data. Checking any of the image meta data options will add an additional input to the Post Image field which can be filled in by the submitting user. This data is then stored with the Post Image. You can specify a particular Post Image field to also be set as the Featured Image (aka Post Thumbnail) of the created post. Just select the “Set as Featured Image” option and Gravity Forms will work it’s magic when the post is created. With the above configuration in mind, imagine that you’re accepting user-submitted events for a blog about your night life. The data and time of the event will be pretty important. Custom fields to the rescue! 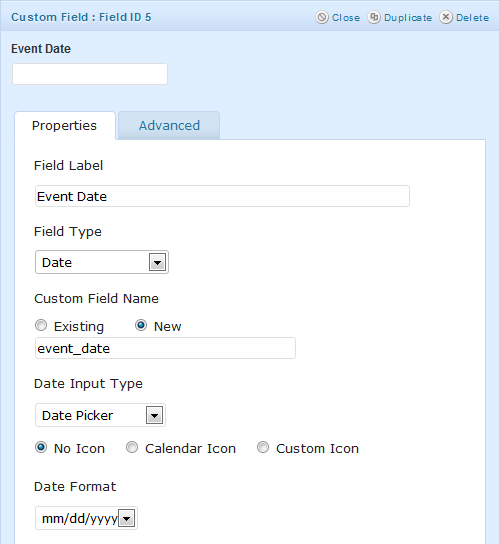 With Gravity Forms’ Post Custom Field, you can specify a custom field to which the field value (in this case, the date of the event) should be mapped. The Post Custom Field can use a variety of different field types including all Standard Field types and most Advanced Field types. This flexible field will allow you to capture a wide range of values include regular text, dates, times, phone numbers, URLs, files and more! It is important to note that Gravity Forms does not handle displaying the custom field data (unless you’re using a content template! ); however, there are plenty of tutorials available for modifying what content is displayed with your posts including displaying custom fields! For more information, see the Custom Fields documentation on WordPress.org. You can specify the default Post Status from the Post Title, Post Body and Post Excerpt fields. The available options are “Draft”, “Pending Review” or “Published”. A “draft” is a post that is not yet ready to be published. A post which is “Pending Review” is ready to be published pending a review by an administrator. A “published” post is live and viewable by visitors on your website. Gravity Forms may not support it out of the box, but it’s actually quite easy to set the post status by a user-submitted field value. Here are two handy resources that demonstrate how! Like the Post Status, the default Post Author can be set from the Post Title, Post Body and Post Excerpt fields. You must select a user from the “Default Post Author” drop down; however, if you wish to assign the post author based on the logged in user submitting the form, just check the “User logged in user as author” option. Bare in mind, this option will only work if the user is logged in when submitting the form. Otherwise, the post author will default to the user selected in the drop down. If you’re running a theme that supports Post Formats or if you’re using implementing them on your own theme, you’ll be happy to hear that Gravity Forms provides support for Post Formats out of the box. The Post Format can be specified on the Post Title and Post Body fields. All standard WordPress Post Formats are supported. If you’d like some more information on post formats, I’d recommend checking out this walk-through. That’s a fairly exhaustive overview of the post creation functionality. As you can see, Gravity Forms post creation functionality is very flexible and super powerful! If you have any questions, please share them with us in the comments. This is a great tutorial, thank you. Do you know if it’s at all possible to have Post Fields do their thing earlier than the submit button? Perhaps with a manual button/link or ideally, trigger on the Save and Continue process? Hey Matt, I’m not aware of any solution for creating posts prior to submission of the form… one solution is to actually break your form up into multiple forms. The first form could create the post and you could direct the user to the second form on submission of the first.